This sign is one of the more straightforward, simply reproducing an actual vintage print found by the artists. 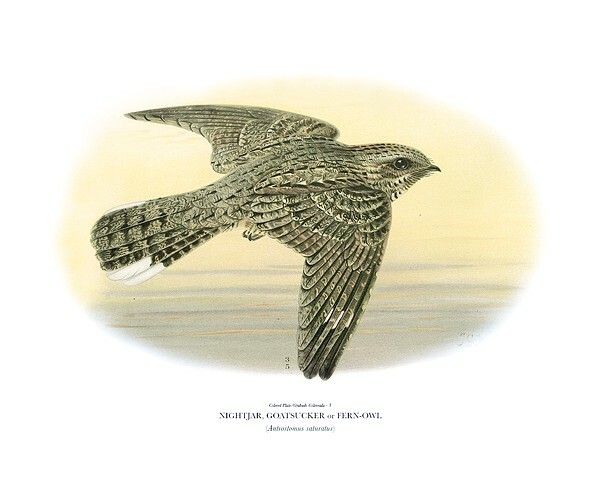 The print depicts a nightjar, a bird sometimes also known as the 'fern owl.' This species, in fact, lives in Chicago, and the artists know its evening call as treasured sound of summer.